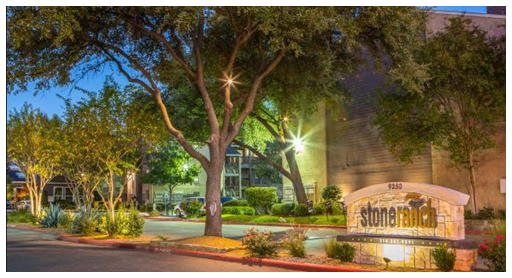 ​ DALLAS - The Vineyards at the Ranch, previously known as Stone Ranch Apts., have been acquired. The 774-unit multifamily property at 9350 Skillman Street offers one- and two-bedroom units across a 19.4-acre site and includes a business center, fitness facilities, laundry facilities and pool. The complex was 92.5 percent occupied at the time of sale, according to CoStar information. ​See Dallas-Fort Worth Multifamily Market Research, Austin Multifamily, San Antonio Multifamily, Houston Multifamily​ for free data.